Facebook says it is home to over 30 million active small business pages. How can you get your page noticed? How can you turn ten fans into 500? Here are seven creative methods to help you become an effective Facebook marketer and generate a following that can convert your likes to sales gracefully. 7 creative ways to better your #Facebook #marketing and convert likes into #sales! Once you have an inclusive business page, ask for a personalized web address. Promote your new hub of business via your other social media profiles and on printed marketing materials such as your business cards. 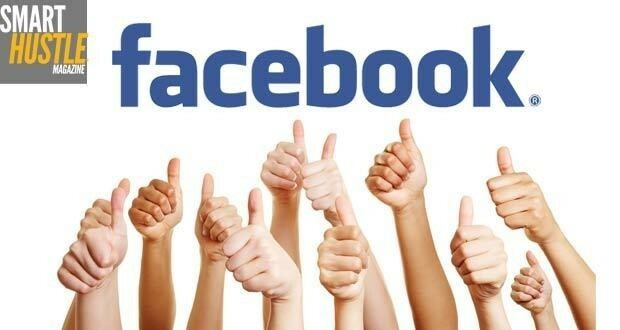 Let everyone know that you’re on Facebook so your customers can make sure to “Like” your business page. This secret weapon can do a lot for your business. Graph Search allows its users to learn more about fans through other pages they have liked. This information helps you find pools of like-minded people to target and extend your online reach. Add a Facebook “Like” button everywhere that is possible. If you want to find ways to attract more new business, start by embedding a “Like” button on your website. There’s a good possibility the person who visits your website is one of the several million who are already logged into Facebook and may simply click the like button and earn you another no-fuss fan. We all know the feeling that accompanies the notification of a friend asking for a “Like” of their latest business venture. Instead of going that route, consider encouraging every employee to link your business page to his or her personal profile. This is under the “work and education section.” You can also repost engaging content from your business page on your personal timeline to attract likes. Earn more “Likes” though incentivizing users in a big way. For example, a Mexican restaurant chain revealed the location of burrito giveaways through Facebook status updates exclusively. So what did this do for the business? It drove traffic to the business page - no one can say no to a free burrito. Eventually your flow of ideas slow down and you find yourself looking for creative tips for posting on Facebook. Take some time to search for businesses with offerings that complement yours. As an example, a skin care line could form a partnership with a hair salon. When you find a business with a similar following and approach them to cross promote your business, it’s a simple way to drastically increase your following. Content marketing it booming - 86 percent of business-to-business marketers have adopted content marketing to promote their businesses. Utilize Facebook to position your brand as a go-to place for accurate information and secure a following. Publish factual, helpful and engaging articles around five times each day so your business is always at the forefront of your fans minds. In order to generate more business on Facebook, you need to grow your following and earn more fans. Promote your business daily and share posts that are relevant and you will find your number of fans and revenue growing steadily. What other strategies would you add to the list?